When we were younger, my brother Cale and I fought like cats and dogs. Like most siblings, that animosity waned as we aged, replaced by a very strong bond and a mutual love of random adventure. As adults, we couldn’t look more different: he’s tall and bearded, I’m short and (thankfully) without facial hair. Despite the fact that we’ve grown into different people with disparate careers, we have much in common. We’re both storytellers, we both refuse to take ourselves too seriously and we both believe that pushing yourself to do as much as possible in life is an excellent way to live. Cale and me, a long time ago. We did just fine, despite an epic screaming match atop an active volcano in Camiguin. As the years have gone by, we’ve also found that we have similar taste in friends and I was excited to spend my first Canada Day in Ottawa hanging out with him and his friends. The plan? Canada Day in Ottawa (with Will and Kate, of course), Royal High Tea at the Chateau Laurier’s Zoé Lounge and then an evening of BBQs, fireworks and late night conversation, followed by a camping trip to Fitzroy Provincial Park. 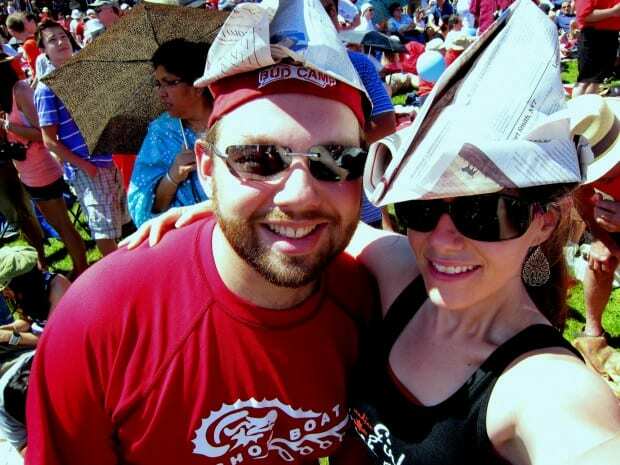 Me and my brother with our newspaper hats. Thanks, Globe & Mail! 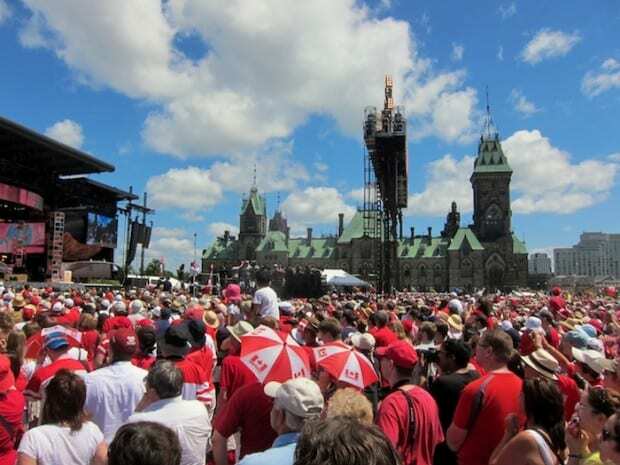 A packed Parliament Hill at the start of the Canada Day concert. 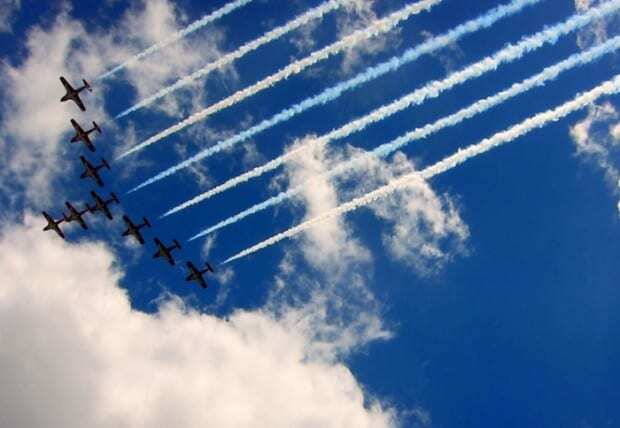 On the first flyover most of the crowd ducked and cringed, missing them entirely – they were quite loud. The photo above was from the second pass. Sweaty and satisfied from the Parliament Hill concert and fighter plane flyovers, we realized we had only 45 minutes to make it to our 2pm Royal High Tea reservation at the Chateau Laurier. Ever the consummate planner, my brother made reservations a full 7 weeks in advance, and at 13 people we were the biggest group of their day. When the reservations were made, the hotel told him that they were absolutely packed that day, so we could not be late. One problem: the motorcade was inching its way out of Parliament Hill and the RCMP was starting to block off the roads and bridges. 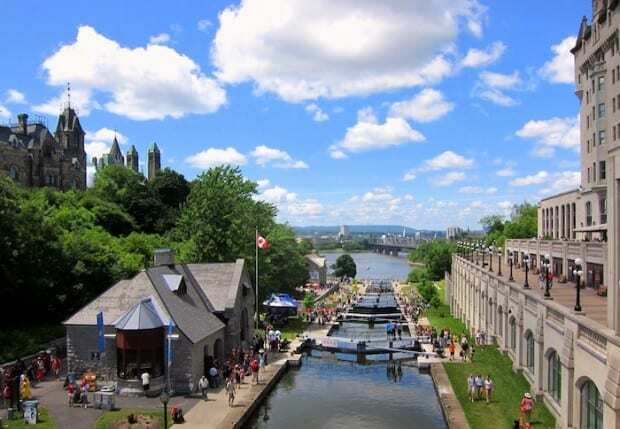 What followed was a hilarious, often-awkward obstacle-filled run through downtown Ottawa, dodging crowds, racing down stairs and pleading with the RCMP to please, please let us across this one bridge so we could make it to High Tea. (Understandably, he was not terribly impressed with us). Ultimately, we made it. More than slightly unkempt, but at least we were on time. I didn’t realize that the Chateau Laurier would have a gluten-free version of their High Tea menu, but was thrilled to find out that they could prepare one without an issue. 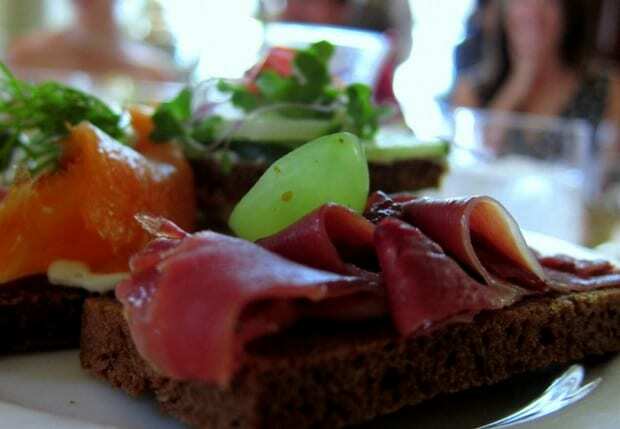 With pots of tea, a cocktail and “elegant open-faced sandwiches” (their words, not mine), the 13 of us had an excellent few hours in air-conditioned opulence. 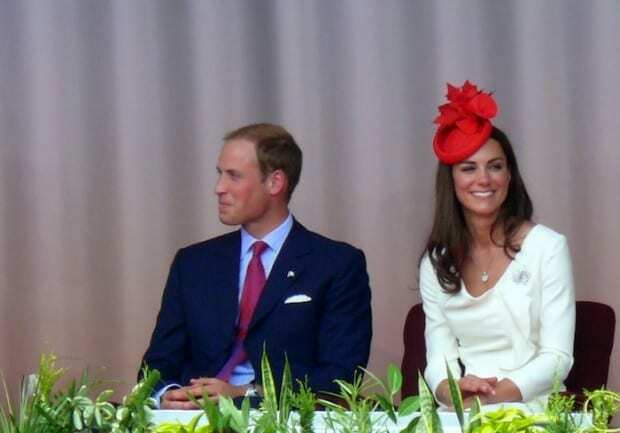 Let’s not forget why this year’s Canada Day was so frenzied: Will and Kate. 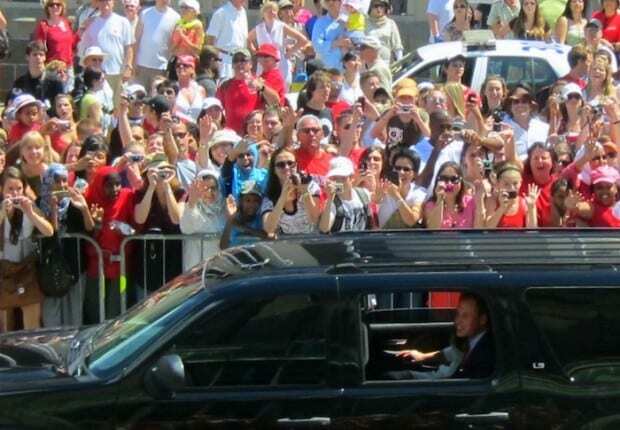 Throngs of people lined the roads to watch the motorcade go by, and when William spoke during the Canada Day concert series on Parliament Hill, the cheers (mostly when he mentioned Kate’s name) were frenzied. Micah’s photo of Kate & William in Ottawa for Canada Day. I’m going to say he had the better view. We rounded out the day with an afternoon chatting in the park, a great BBQ dinner and then hopped over to the Supreme Court building to watch the fireworks. 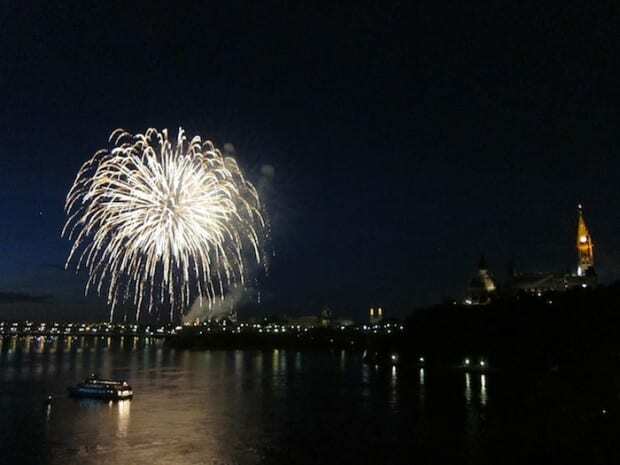 Having spent many Canada Days abroad, I’ve missed out on fireworks during the celebrations and these were quite a lovely show. The weather was perfect, the Peace Tower glowed in the background and the rousing rendition of Oh Canada just before the fireworks started warmed my heart. Fireworks never looked so good. The weekend wasn’t complete without a camping trip to Fitzroy, so we piled into cars the next morning and made our way to the provincial park. 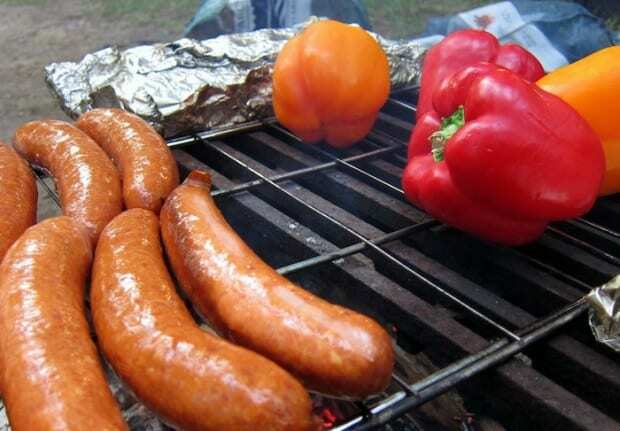 Delicious BBQ dinner: smoked sausage, roasted peppers and sweet potato. 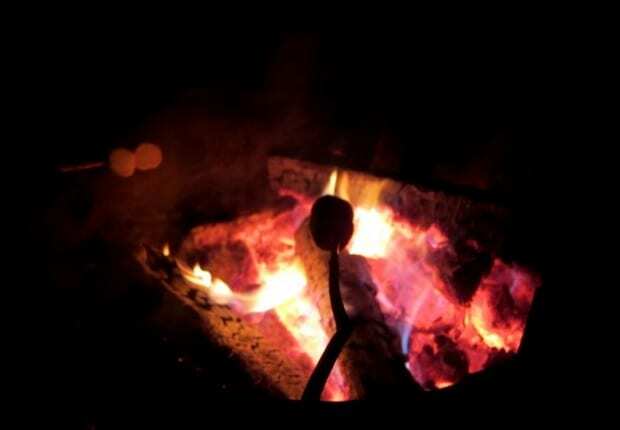 No camping trip is complete without toasted marshmallows. All in all a terrific weekend. 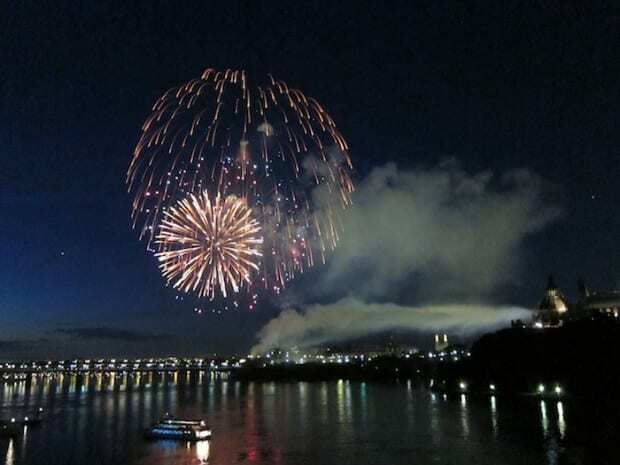 While I still find myself waxing poetic about the street food in Laos or complaining about how there are no dogs riding motorbikes in North America, Ottawa was the only place I wanted to be for Canada Day. One final note: while camping, my leg was hit by a particularly juicy birdcrap, bringing The Birdcrap Counter to 12 birds and 1 bat since April 1, 2008. 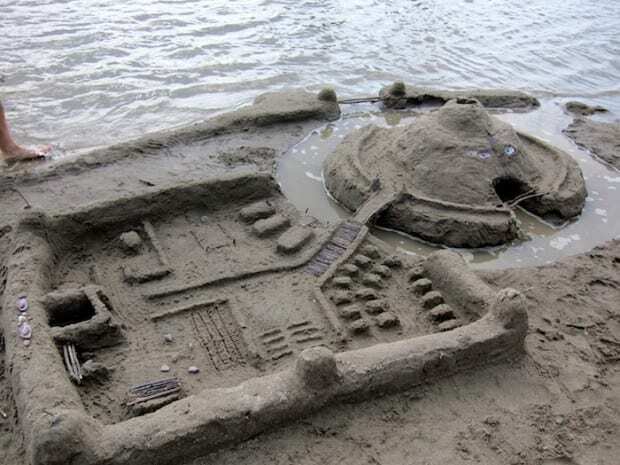 That’s a damn fine Norman castle you have there in the sand. Someone is *obviously* a reincarnated British medieval engineer. 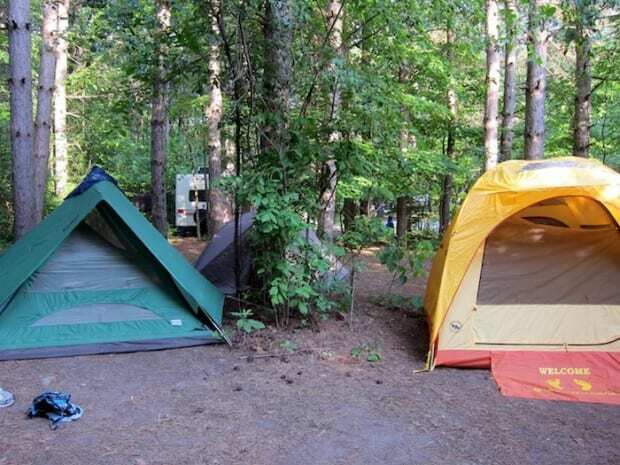 You should put them in charge of anything structural for further camping expeditions. Amazingness will result. HA! Good luck with that resurgence, my British friend. Yes, the castle was terrific and there’s an accompanying 3 minute explanatory video, narrating each of the castle’s components. Glad you enjoyed the post! I am most ‘specially proud of the bridge from the town to the castle. You can’t really see the supporting structure, but it truly was a work of art. Unfortunately, the destruction of the sandcastle by four-year-olds in party dresses went undocumented. It was! It’s true. A lovely sandcastle, mercilessly trashed by a group of dressed up toddlers. At least we have the narrated video? 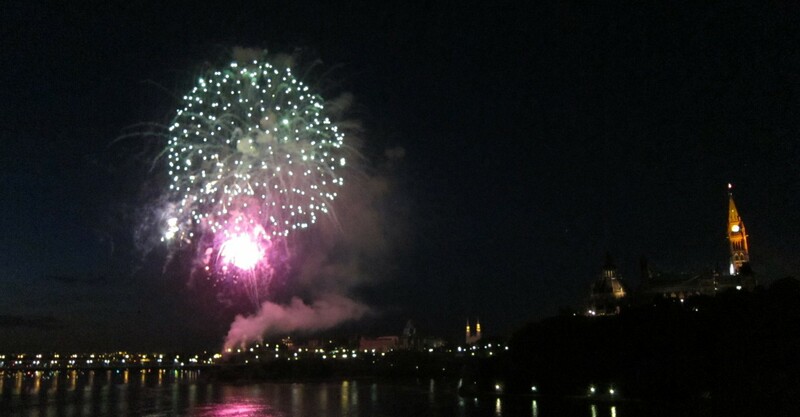 It was awesome to have you in Ottawa for Canada Day! 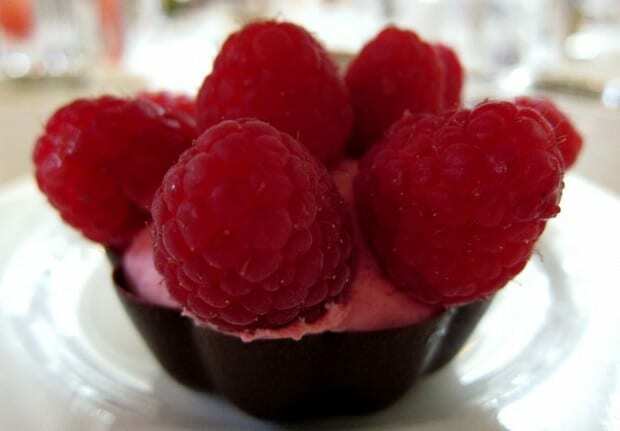 Camping, raspberry desserts, the royals, fireworks– seems like you had an action-packed Canada Day! Thank you for sharing your fabulous Canada Day. I shared some of it with you via TV when I was watching the Will and Kate part of it. Never mind that Micah got a closer pic (telephoto lens? )- yours was also close and genuine! You were closer than I was in Edmonton where I later watched fireworks. Why is it that us ex-pat Brits love fireworks? Must be in our blood from so many Guy Fawkes days :) Yours is one of my favourite blogs – thanks for it all, Jodi! Glad you enjoyed, Ann! And thanks also for the comment on the Legal Nomads facebook page. Hope you have a great rest of the week. what FUN!!! i love the photos – and the big smiles! 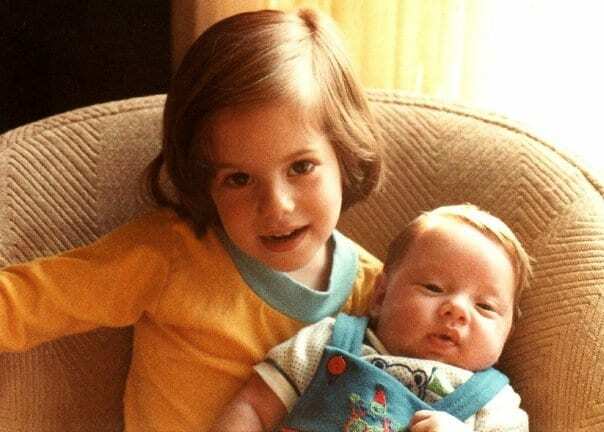 Love the pic of you and your brother when you were younger. I almost didn’t recognize you in the last pic! What a fun way to celebrate Canada Day! I actually wish I had fun celebrating the 4th of July. Not so much fun for me though! Thanks Jer! It was a great weekend and unusual for me to actually be in Canada, so it was also a real treat. Perhaps you should come to Ottawa with your family next year and do Canada Day instead? It’s true! We joke that when we’re together our IQ drops to our shoe size. Action packed Canada Day(s). 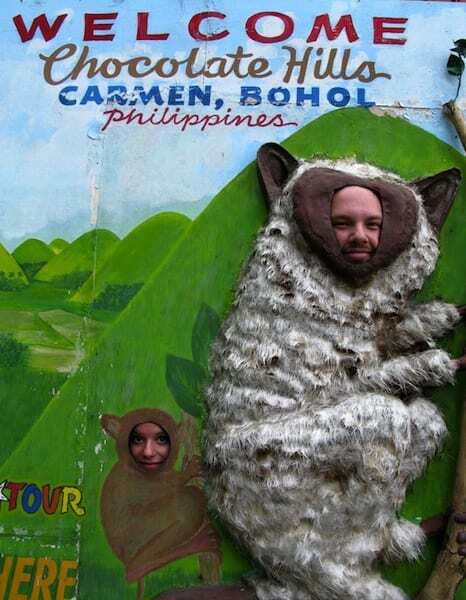 Hope you revisit the Philippines and hopefully I’d be there if and when you do. Bird crap counter still active, haha. Ha! It does seem likely that I’ll return one of these days – I talk about the ‘pines often and I certainly miss the great people and beautiful sights. I could do without the birdcrap, though. Thanks for reading! 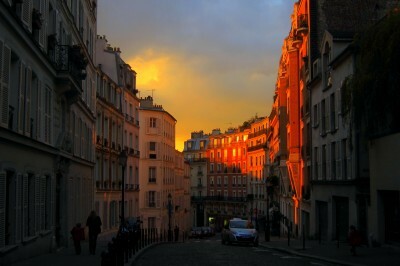 It appears you had a wonderful time – lovely photos. I was also back home for Canada Day for the first time in 6 years. 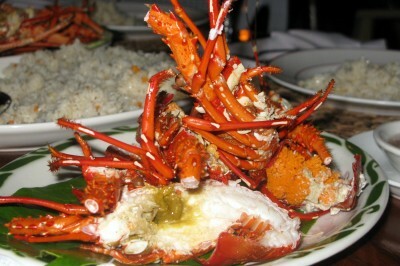 It was -no doubt – a special treat.